A minor incident nearly turned tragic after a young boy began exhibiting signs of a potentially fatal condition called secondary drowning. While attending a birthday party earlier in the day the young boy fell into a hot tub, but was instantly rescued. After enjoying the rest of the party and returning home, the boy began acting lethargic and coughing violently. Fortunately, the boy’s mother reacted and took him to the emergency room where doctors diagnosed secondary drowning and were able to administer oxygen to save his life. 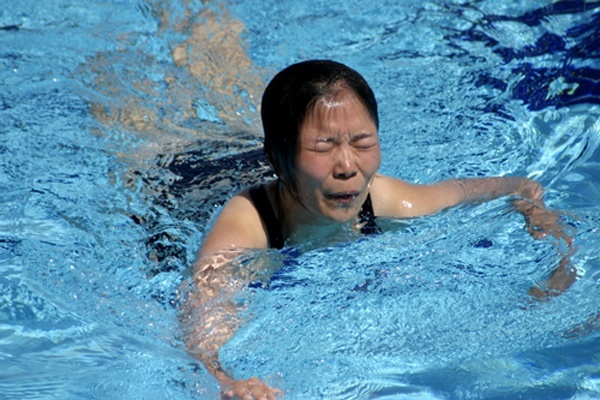 Secondary drowning, sometimes referred to as dry drowning or parking lot drowning, is a rare but potentially fatal medical condition that occurs when water is inhaled past the vocal cords and enters the lungs. Secondary drowning is so rare that Dr. James Orlowski from Florida Hospital Tampa estimates that secondary or dry drowning account for no more than 1% to 2% of all drowning. The affected person will appear fine immediately after the incident, but over time the water in the lungs will cause swelling or edema. This swelling will eventually restrict the lungs ability to exchange oxygen to and from the blood causing a drop in oxygen levels. A drop in oxygen levels will reduce heart rate, affect brain activity, and can eventually lead to death. These symptoms can be difficult to diagnose since most individuals, especially children, are typically exhausted after extended time in the pool. This is why it is important to be aware of any water inhalation. If you notice someone exhibiting these symptoms but there was no report of water inhalation it is a good idea to ask the individual if they might have inhaled water. The best advice regarding secondary drowning for parents, lifeguards, and aquatics professionals is to simply be aware of secondary drowning and know the symptoms. 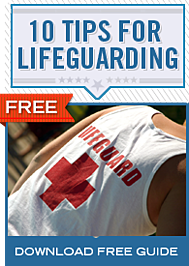 For lifeguards and aquatics professionals, if someone significantly aspirates or inhales water make sure to monitor them immediately after the incident to ensure they are fine. After a few minutes of monitoring and no symptoms are exhibited it is ok to let them return to swimming, but let whoever takes care of them to know about the incident and to be aware of the symptoms of secondary drowning. If an individual exhibits any of the symptoms of secondary drowning it is recommended to seek medical attention immediately. If caught early enough secondary drowning is easily treated with the administration of oxygen or the use of a ventilation system at a hospital, but if untreated it can be fatal.